The Semi-Bespoke, it is what we are thinking about when we talk about on-measure clothes. 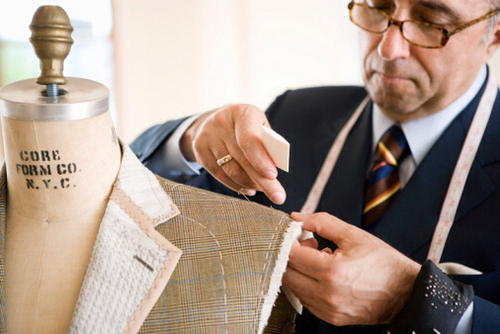 The client has to choose a model and the tailor takes its measures and creates the exact same model. There is no creation, you have to choose the dress that you like on a book. The tailor will take all your measurements and create the exact copy of the dress that you choose. If you want more details discover our full about Ready-to-Wear/ Couture/ Haute Couture Miami.